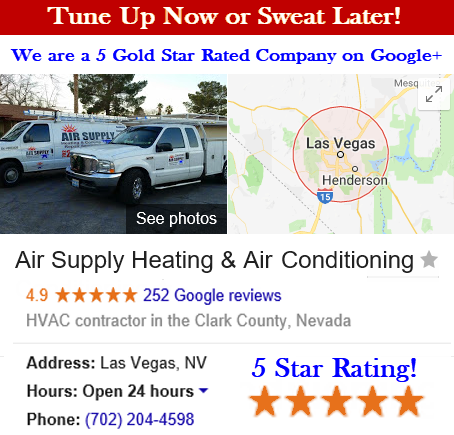 Air Supply Heating and Air Conditioning of Las Vegas, Nevada is a completely licensed, certified, and insured full service HVAC system contractor that is readily available to provide professional services to the commercial businesses and residential homes in the community at an affordable cost. Air Supply Heating and Air Conditioning technicians are more than qualified to perform the tasks and use high-end products and equipment to ensure maximum results. With our 24/7 emergency availability, family-friendly customer service, traditional values, and professional courtesy, you will come to rely on Air Supply Heating and Air Conditioning as so many others do for their HVAC system needs. 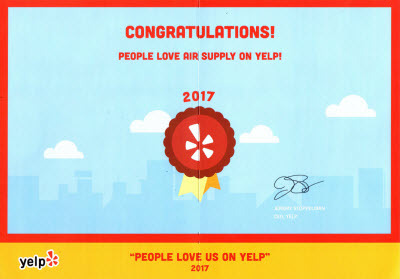 Air Supply Heating and Air Conditioning values our commercial and residential customer in the Greater Las Vegas, Nevada area so much so we do everything in our power to extend customer service online for troubleshooting, including troubleshooting the outdoor HVAC unit. –	Emergency shut-off switch was triggered. –	Unplugged condensate pump/open safety which. –	Tripped outdoor reset button. –	Lock-out of the unit. In the event the outdoor unit won’t start and there is a faulty thermostat, contactor or capacitor, time-delay relay, burnt wires, or control module or a safety device, a professional from Air Supply Heating and Air Conditioning would need to rectify the situation. 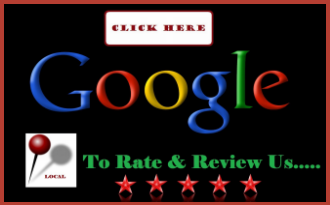 –	Damaged or misaligned fan blades. Outdoor unit from your Las Vegas, NV Valley home or business will only shutoff by way of the circuit breaker. This happens occasionally because of a few things but the most common is a stuck compressor, or shorted thermostat cable. These and other issues are better dealt with an expert Air Supply Heating and Air Conditioning. Outdoor unit produces steam, which frequently occurs with the heat pump powering up at the start of the heating season. Defrost mode will help the heat pump during the heating season. 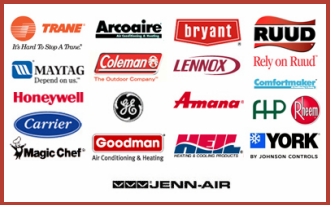 When the steam happens a professional from Air Supply Heating and Air Conditioning can assist with the poor defrost control, sensor, or thermostat, the outdoor fan motor, low large, or restriction, and coil blockage. If your Las Vegas, Nevada Valley outdoor unit is experiencing problems, call in the experts of Air Supply Heating and Air Conditioning and let us help you troubleshoot the issues at hand.